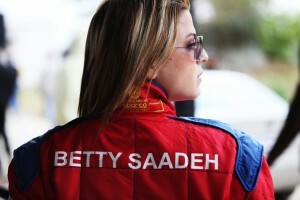 A speed car racing scene has flourished in the West Bank recently, providing release and distraction in the volatile region. Though a sport dominated by men, an all-female racing team are winning fans and admirers and attracting enviable sponsorship deals. Amber Fares’ lively and daring documentary follows five Palestinian women racers who are desperate to be taken seriously. Though they come from different backgrounds, with a variety of motivations, they are determined to overcome the repression they are confronted with. Speed Sisters boldly confounds stereotypes while illustrating the diversity of the Palestinian experience.